Knight’s Trigger Control Handle Series is designed to be ergonomic and comfortable for the operator. The horizontal and vertical adjustment capabilities and ergonomic grip make it an excellent replacement for non-ergonomic control handles. 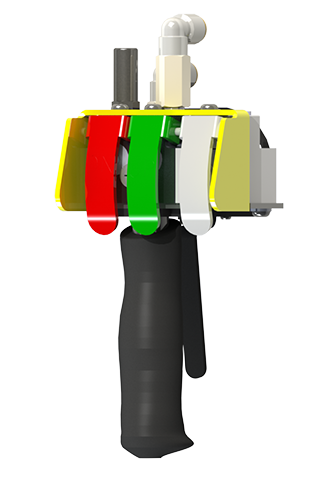 The Trigger operated control handle is available in a one, two, three or four button configuration with an electronically or pneumatically operated trigger lever.